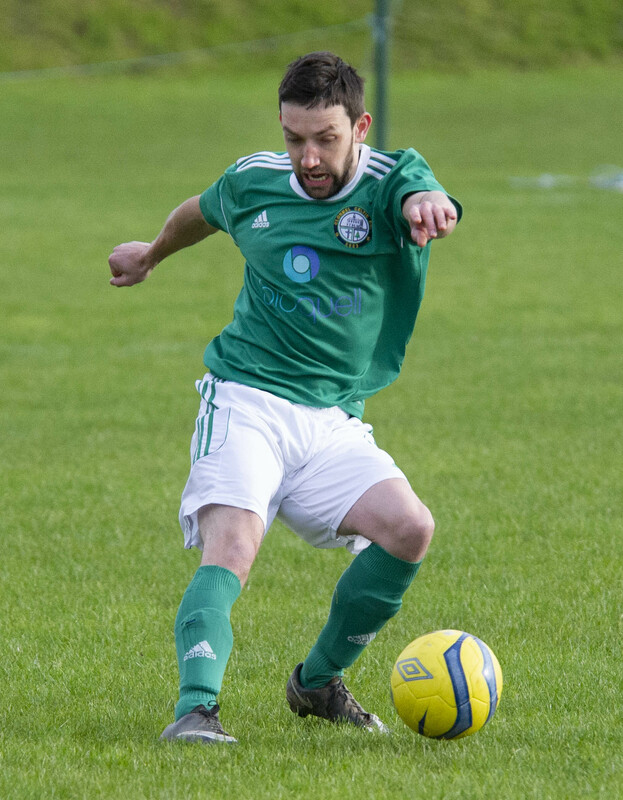 Cahir Park came from behind against near neighbours Vee Rovers to win the three points in this game and make themselves mathematically certain to be playing Premier League football next season after a very successful return to the top table of TSDL football. The visitors started the better in this game and deservedly took the lead on ten minutes when Brian Sweeney headed home a free kick delivered by Shane McGrath. This didn’t deter the home side from continuing to play the kind of free flowing football they have been playing all season and they worked their way back into the game with long periods of controlled possession. Finally on the half hour mark that possession bore fruit, when Ross Condon finished well in a one on one against visiting keeper, to send the sides into the break level. The Park controlled the game for the early part of the second half and in the sixty second minute took the lead when they were awarded a penalty kick that Alan O’Donnell fired home. Rovers fought hard to get back into the game but some good defending kept them at bay and the home side made the game safe four minutes from time when Shane Murphy finished a good move from close range. In the final minute Murphy finished the scoring with a shot from the edge of the box, much to the delight of the home supporters. This was a real six pointer in the Premier League with the visitors really needing to get something from the game while the hosts knew that a win would get rid of any lingering worries of a relegation battle after their poor start to the year. And it was the home side that came out on top as they continued their recent good league form with a 3-1 win that leaves their opponents slowly running out of opportunities to garner precious points to assure themselves survival. All the goals in this game came in the first half, with Seanie O’Hara giving the home side the lead early on, before Vinny Godfrey equalised for the visitors. However the home side were sharper throughout and regained the lead midway through the half when Cian O’Sullivan put Celtic back in the lead with a smartly taken goal. It looked like this was how it was going to go to half time but minutes to the break O’Hara was on target again to put his side two clear. The second half was something of an anti-climax after this with the Tipperary Town side bereft of ideas and confidence, unable to break down a Clonmel Celtic defence that was very comfortable in dealing with what few questions they were asked. There were no more goals and this latest success sees Celtic unbeaten in eight games in the league while putting a serious dent in Tipperary Town’s Premier League survival hopes.